Have you ever invented something but weren’t sure whether to patent it? Most of us have! You don’t have to be an engineer, hold a master’s degree, or own a business to find an instance where a specific product would make life easier. Maybe you’ve even taken the next step and created a prototype. Whether we’re meeting with business owners or individual inventors, the first question often asked is “should I patent this?” The short (and lawyerly) answer: it depends! Here are several advantages having a patent will provide. Patents are property rights. They’re actually one of the rare exceptions to our antitrust laws; the government is granting you a limited monopoly—and for good reason as mentioned in our previous article. One common misconception is that you need to patent an invention before making or selling it—that’s not true. A patent grants you the right to prevent others from exploiting the invention without your permission. Simply put, you get to control the manufacture, sale, and use of that invention for a specific amount of time (if you choose to do so). In many instances, the research and development required to bring an invention to market is highly expensive. For example, consider the pharmaceutical industry. The effort to produce a new drug often takes many years and multiple iterations of clinical trials and approvals. A patent ultimately gives drug-makers market control over the resulting product, allowing them the opportunity to recoup their expenses and profit from their innovations. Not every invention is produced by deep-pocket corporations with teams of researchers. Many of the best inventions originate in small garages and around family dinner tables by people who don’t have the time, money, equipment, or other means necessary to bring a product to market; however, this isn’t always a showstopper. Because patents are property rights, an inventor can sell or license the invention to others who can contribute the missing pieces of the puzzle. If you’re a fan of the TV show Shark Tank, you’ve likely seen the influence of patent ownership. Patents can hold significant value, especially if they’re associated with successful products. They can be valuable when you’re negotiating business deals or contracts such as financing, mergers, and acquisitions. In addition, they can add bargaining power for cross-licensing at times when it’s advantageous for you to license someone else’s patents. A well-designed patent portfolio speaks for itself when you’re pitching your business to investors, business partners, or shareholders because it demonstrates a heightened level of expertise and dedication to the art. This may prove useful for raising funds or establishing your business as a legitimate market player. The decision to pursue patent protection will depend on your unique circumstances, but patents can (and do!) provide significant value, whether you’re looking to protect your existing niche in the marketplace or make your first venture into it. 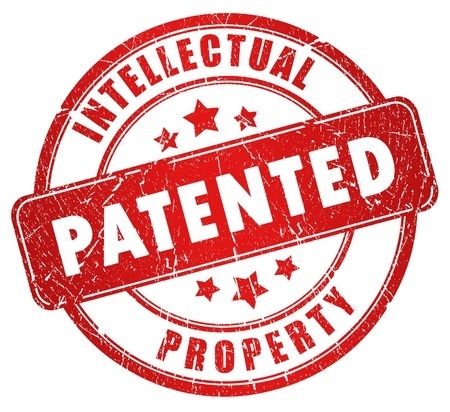 We hope this information helps if you’re considering whether to patent your inventions.